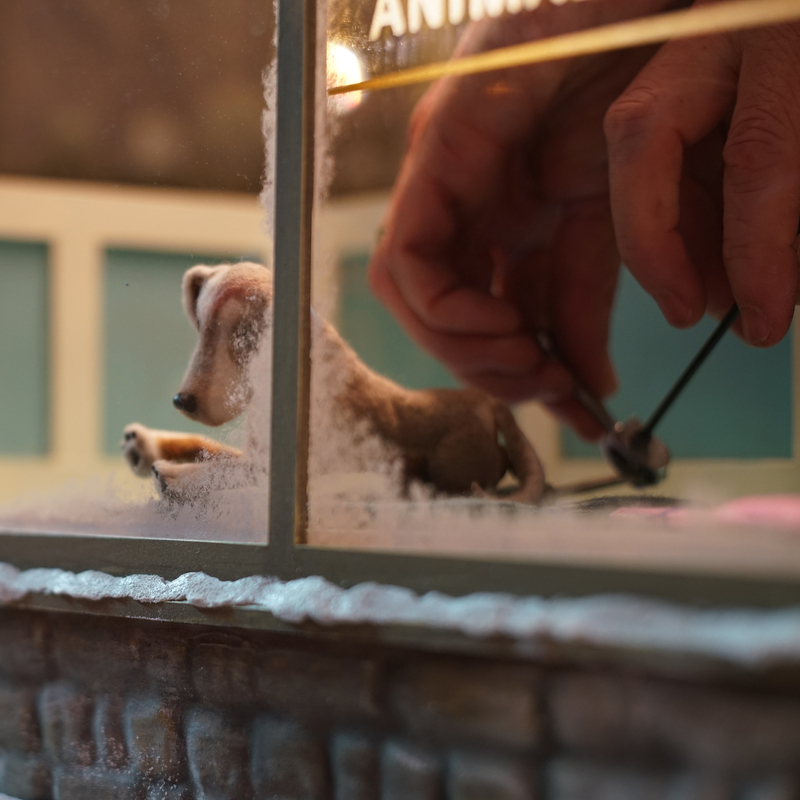 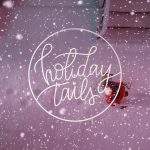 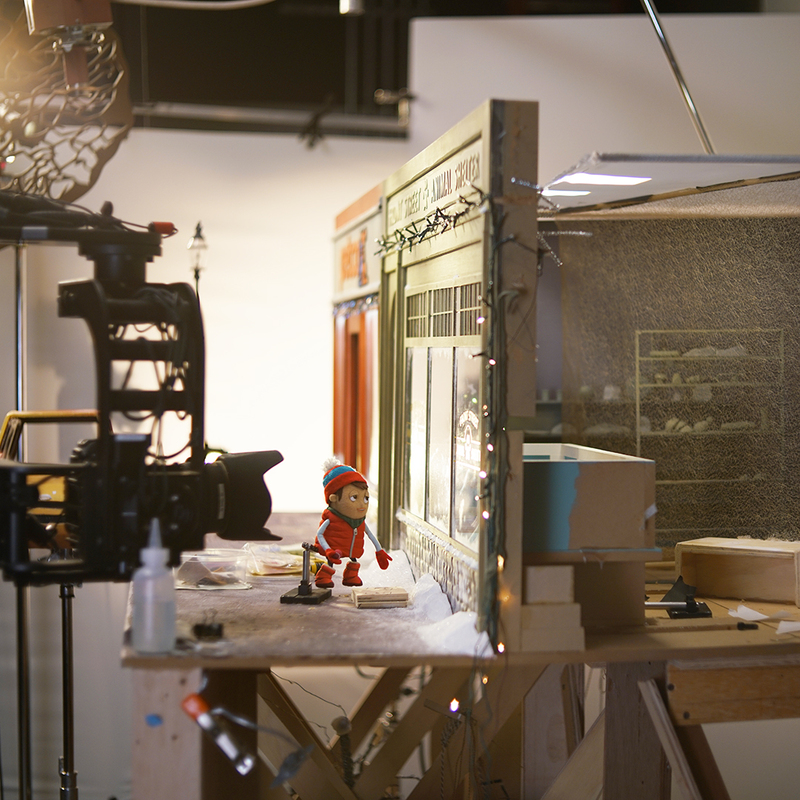 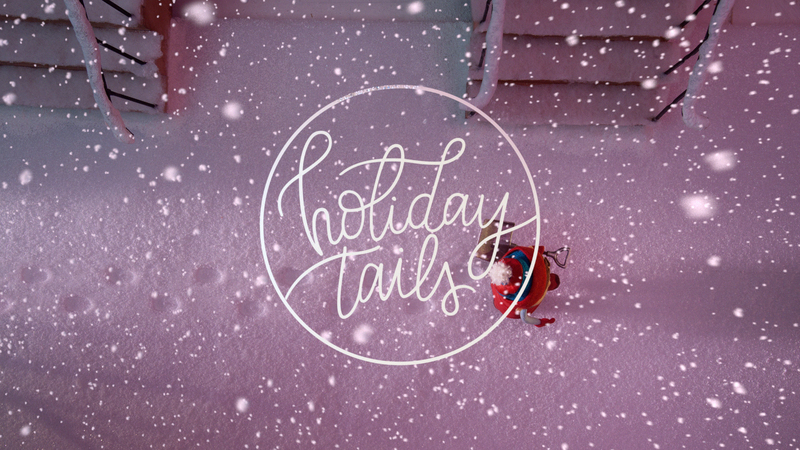 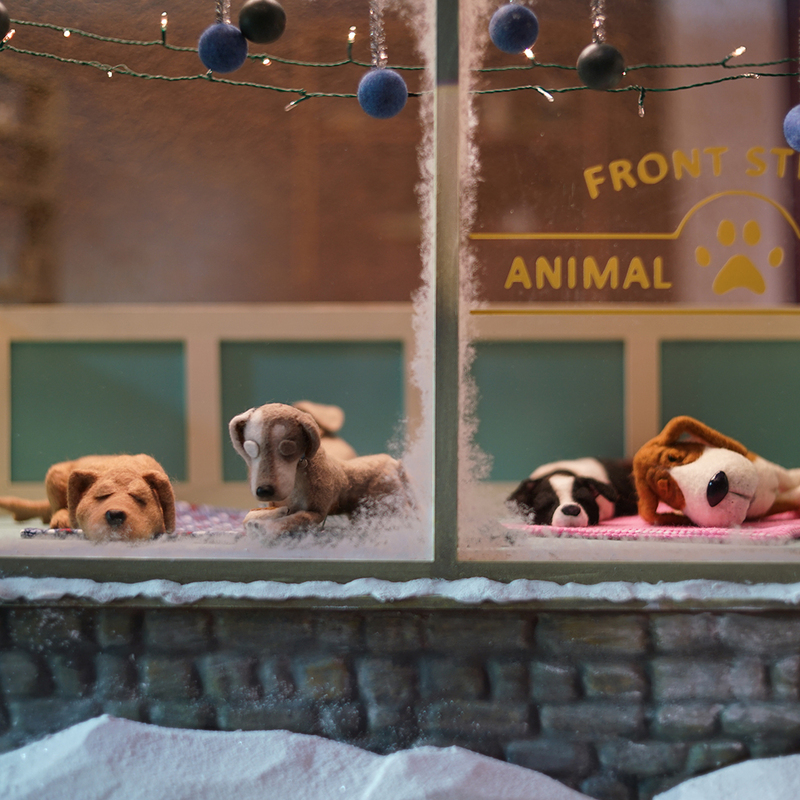 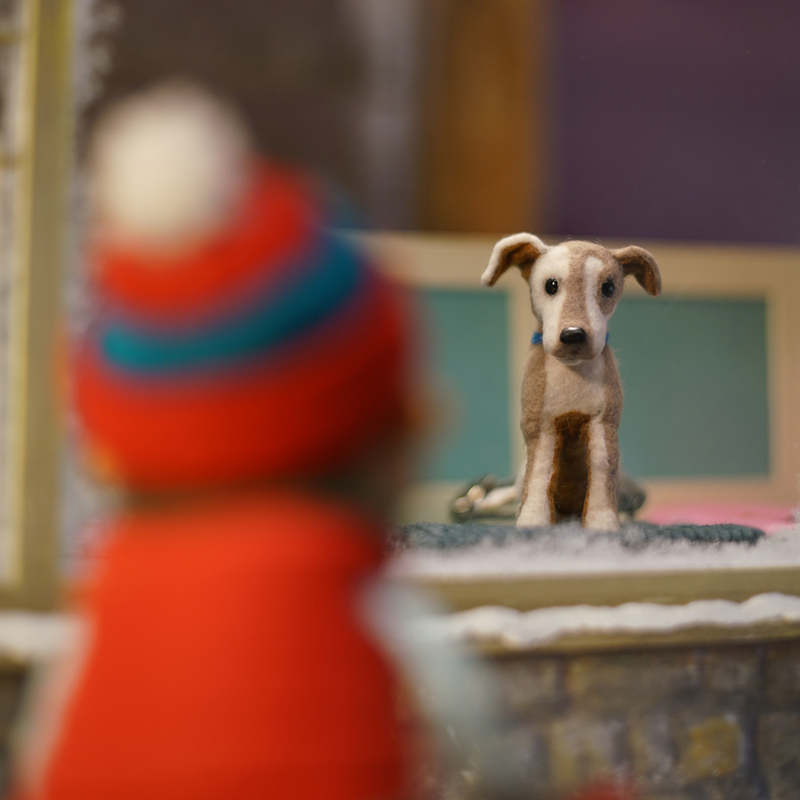 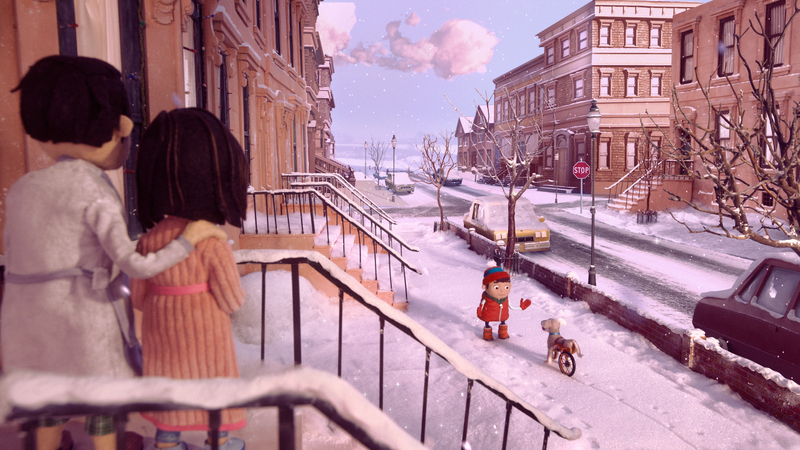 This week we feature a very snowy piece with a very warm feel for Petco. 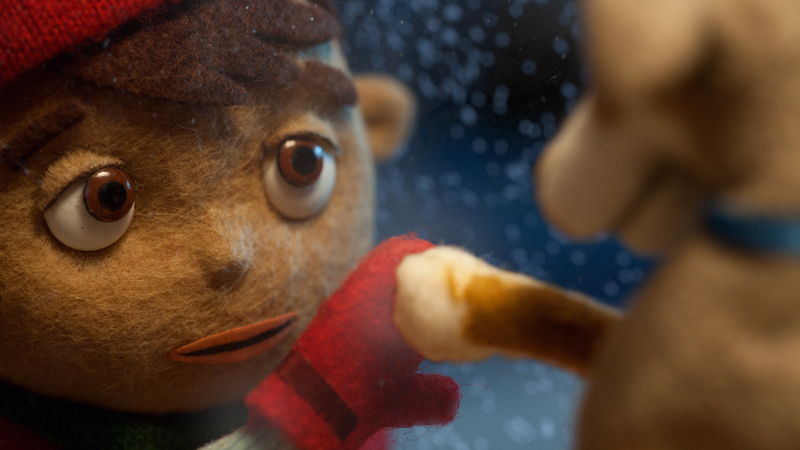 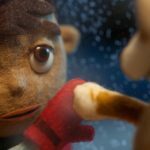 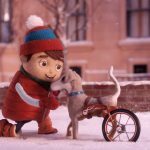 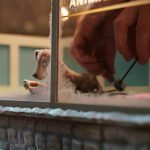 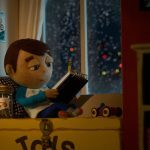 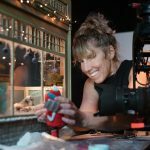 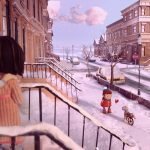 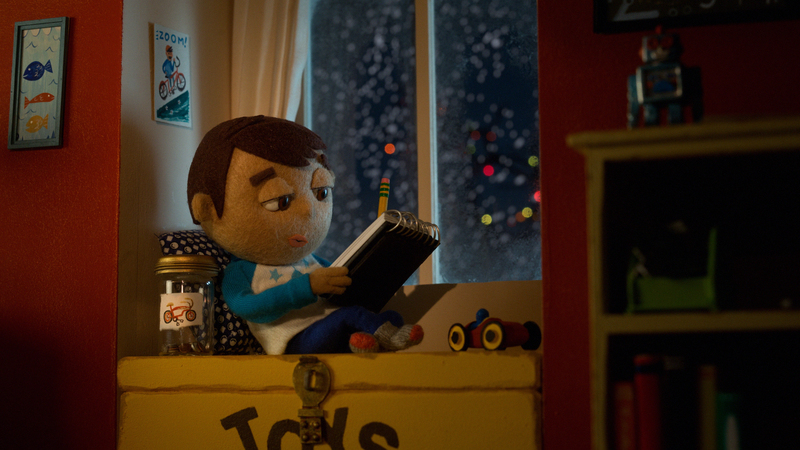 In “Saving Up,” a little boy (felted puppet) is saving up for a precious bike when he falls in love with a three-legged dog at a shelter near the bike shop. 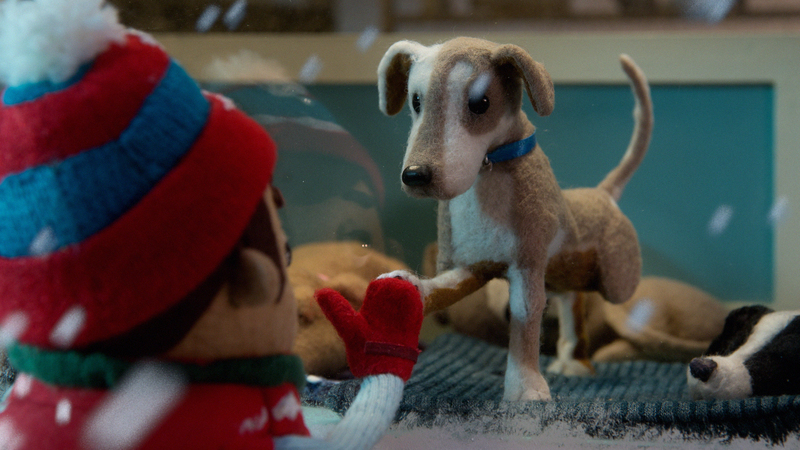 When he gets the bike for Christmas, he uses the money to get the dog with supplies from Petco. 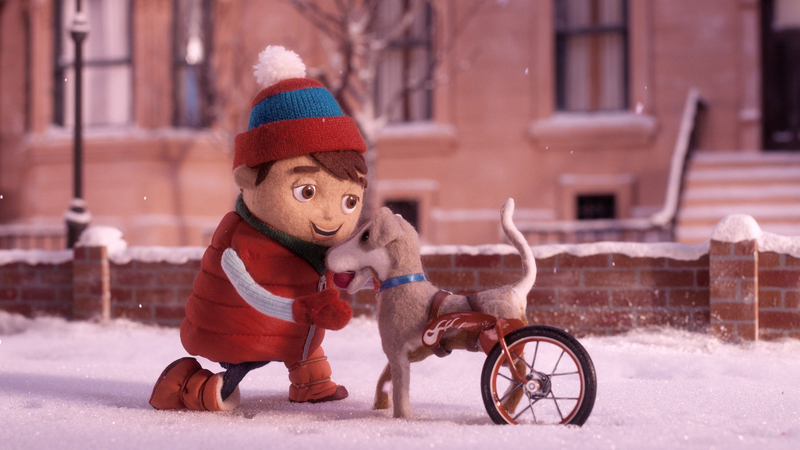 Ultimately the boy re-purposes the bike’s wheel as a way for the dog to get around more easily and keep up with him. 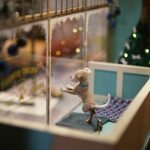 The message from Petco, that it feels good to give, dovetails with their program to get something for your pet and donate one to an animal in need. 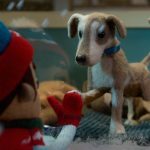 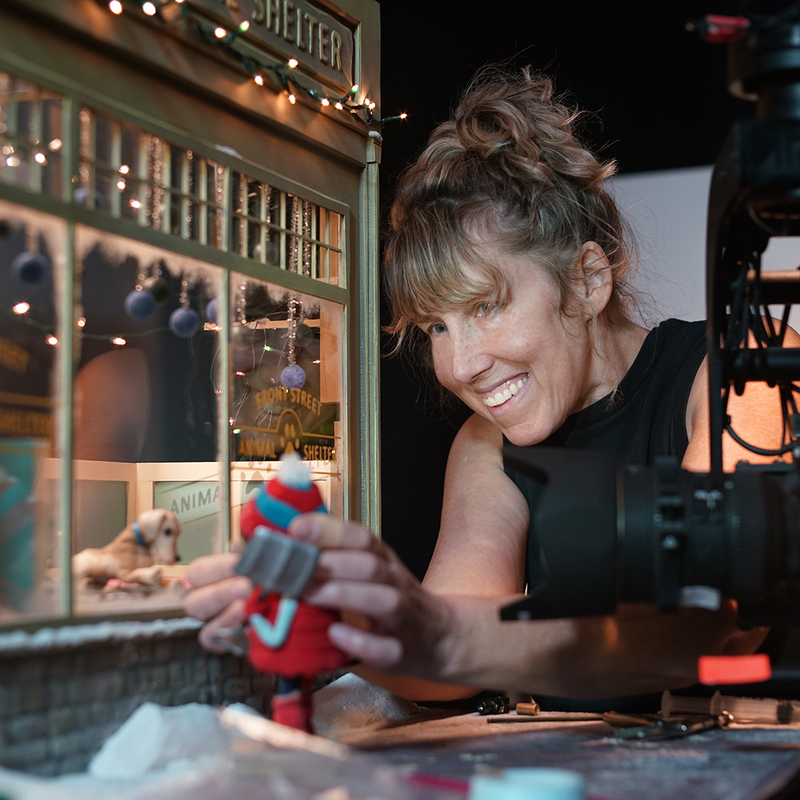 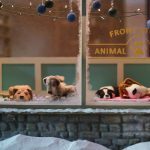 Petco’s “Saving Up” debuted on November 19, 2018 with a national television run, as well as in movie theaters coast to coast. The spot is also online and has earned around 7 million views on YouTube as 2018 ended.